I don't do well with winter. Despite all this time trapped indoors and away from my bicycle and sunny beach distractions, my mood starts to match the New England weather outside my window. My brain and my words turn monochrome, moody and sludgy. And yet, we must get up every day and be grateful for this day and for ... well ... being able to get up and out of bed. However busy we are, we must take time out to enjoy some small, incidental pleasures. So today, despite the weather woman's warnings of wind chills, I will leave my desk and get out there to turn my face toward the winter light. Last year, I published a blog article, "10 Ways To Brighten Your Winter Work Day" at "World of Psychology," a series of wellness and mental health blogs hosted by PsychCentral. Click here to read the complete article and my 10 tips for winter wellness. Like to share your tricks for winter writing and wellness? Write in the comments below. I'm on deadline for part of a book and a brand new essay and oh, yes, I need to catch up on some emails. So I did what always works: I packed up my notebooks, laptop, books, pens and sweat pants and booked myself a room at my favorite retreat for artists and writers. This is Day 3 and the last night of my short residency. I've been here before. And before. Fifteen years ago, shortly after it was opened, I was one of the retreat's first residents, and now I'm a frequent flyer. I've come here in winter, spring, summer and fall. I've come when I've been under deadline, under stress, under duress and, once, after a family bereavement, in that underwater silence that is grief and loss. I've done my best work here. I am my best self here. I am equal parts productive and contemplative and have often banged out 60 - 100 pages in one long weekend (O.k., so on those mega-output stints, the personal hygiene is .. ahem .. spotty). Tonight, I just had one of those great writer-retreat conversations. Downstairs, at our lamplit dinner table, the retreat 's assistant director was marveling over how resident writers just seem to naturally and automatically respect each other's space--much more so than, say, passengers in an airport or guests in a hotel. "Do you think there's some secret or art to this?" She asked. "To being on writers retreat?" "Yes," I said. "Yes. Yes. and, well ... um .. Yes." "You're sure about that?" she teased. There is an art. It isn't enough to just book a flight or plug the retreat address into your GPS and "head west, young writer." Whether you're booked for a week or a weekend or a month, you will need to be ready and prepared to ... well ... retreat. 1. Alone or with writer friends? This depends on the friends and what you're working on. If you're collaborating on a project, then a few days away together works perfectly. But when you go on writer's retreat with a friend or friends, make sure to establish work time and socializing time and to stick to your mutual agreement. 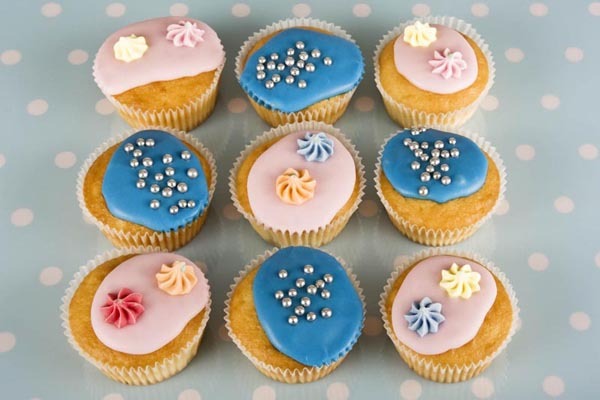 If you do go in a small group, respect the other residents (outside of your group). Unless you've reserved every single room, it's not your group's exclusive space. 2. Writing materials: Pack what you will need (laptop, charger, thumb drive, printed manuscript with hand-edits, audio interviews, books, research notes). But leave yourself open to new possibilities, new sides of yourself. Bring a few paper notebooks and pens. Once you settle into this slower, complete-immersion space and pace, you may want to mix it up and try new writing tools and approaches. 3. Food: Unless the place includes a meal plan, pack some easy-cook or easily defrosted or ready-to-eat meals. Yes, it's fun to join in communal writer dinners. But you're really here to work, not perfect new recipes or waste time driving around looking for local restaurants. A must have: One ready-to-eat meal for that arrival day or night when you'll probably be travel weary and just getting unpacked and used to the vibe. 4. Be open to new experiences, new people, a new way of being and writing: Especially if this is your first retreat, and especially if you're used to writing on the fly or snagging time in between parental or other family duties, the solitude may take some adjustment time. Be ready for that. Allow yourself at least one day to settle in. Resist the urge to call home and check in. Ditto for social media and email. And if you must check in at home, assign yourself one check-in time each day. 5. Set a goal and have a plan: Yes, I know I said you have to leave yourself open and go with the flow. But with all this unfettered, unpunctuated time stretching ahead, make sure you don't just waste these precious hours or days. Set yourself some goals. Have a loose plan for what you will accomplish by retreat's end. 6. This is not like a professional conference: If you work a second, non-writing day job (and which of us doesn't? ), expect a retreat to be very different from a professional conference. For one thing, it's unstructured, non-instructional time, without breakout sessions or round tables or focus groups. And for another, it's all about respecting your own and your fellow writers' space and solitude and silence. Although you may have fascinating or fun chats, the primary focus is on working, not NETworking. Are you extra or less productive when you write away from home or go on writers retreats? If extra productive, share you personal tips. If less productive, what does work for you? If you haven't prepared your tax return yet, check out this great article on tax returns for artists, complete with an expense checklist for writers. This CPA's site and ebook have all the info you need (note: this is not my own accountant). I'm a lifelong math phobe. So tax season sends me trudging into the dining room for what I've come to think of as my annual tax Gethsemane. I have my bag of receipts and canceled checks. I have a clenched jaw, a tremble in both hands. I have a mountain of regrets for (1) My terrible childhood math teacher and (2) My conviction that numbers are really just a bunch of 9th-century hieroglyphics masquerading as 21st-century digits and invented to give us night sweats. I've created my own homemade tax-prep technique. Using my accountant's categories, I write said categories on a bunch of sticky notes and place the sticky notes in a double row along the dining table. Next, I unfold and assign each collected receipt to its appropriate stick-note category. Then, I total the receipt amounts and write that total on each sticky note. And finally, I write that amount on the appropriate line on the tax form. Look, I know that it's second-grade math. I know I'll never get into CPA school. But it's the only way that works for me. Believe it or not, this tax-prep stuff has a saving grace. For a busy woman who often can't remember what she did last week, tax-prep season is a rear-view glimpse into the past year. And it was a good year, full of blessings and surprises. On a freezing night in March, on the nights of my Gethsemane, I need to be reminded of that. For example, here's a receipt from a dinner out with three other working women writers. Oh, yeah, now I remember that night. We yapped and chatted and chewed the writers' fat until the waiters started dimming the lights. Oh, and here's a canceled check for a payment to someone named Daniel. Daniel? Daniel ... Webster? Boone? Oh, Daniel. Yes, how could I forget that hipster who sold me the used desk and matching file drawers for my home office, my little writing haven? Speaking of checks, here's one from my favorite writers retreat. Days writing in my room. Evenings sharing dinner and chat with one of my oldest friends. Seriously, does life get any better than that? Oooh! Here's a fully intact MTA parking receipt from ... when? Christ, with all their tax-fare hikes, you'd think that the Massachusetts Transit Authority, the MTA, could print their ticket dates clearer? Just this once, MTA, couldn't you and your buddy Charlie be the men who actually do (tax) return? Wait. It's coming back to me. The receipt is from that fall afternoon, a Sunday when I took the train into Boston to read and present at America's first public library. And then ... (cue the creepy music) ... it's time for my annual attack of tax paranoia. Instead of this tabletop, karst landscape of sticky notes and receipts, I see every crack, every cockroach that skitters across the floor of my prison cell--as in, tax-evaders' prison cell. Gulp! And listen, why should I trust an accountant? Isn't she also in the hieroglyphics club? They probably all have their own secret social media page, all communicating and chortling away in that mad language that .... Yo, writer. Yo. Zen. Zen. Now. Let's just log onto the IRS website to check and double-check these official allowances and write-offs. "See the page on ..." "Read the addendum on ..." "Read our set and subset and footnotes of hieroglyphics for blah, blah, blah, blah, blah, blah, blah." And then, here's the flash point of sin or redemption for every writer during every tax season: "Was this trip for business or pleasure?" Phew. I've got the rest of my receipts. I've got my mileage amounts. So no final phone calls from the prison pay phone for me. Okey dokey, what have we got here? Oh look! It's from my teaching stint at the Ocean Park Writers Conference in Maine. Hot summer days. Maine ocean breezes. Front-porch conversations with my students. And it was all, all business (heh!). Vacations used to make me feel guilty. And by "vacation," I don't mean my twice or three-times-a-year trips to a writers retreat. Yes, those trips are super relaxing, but only after the day's writing gets done. 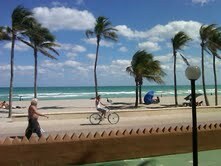 No, I'm talking about those sun, sea and sand trips in which your biggest worry du jour is what to eat for dinner. Before going back to a regular day job, every vacation was unpaid. So in addition to the travel and accommodation costs, there was all that non-billable time. Back then, I tried to write every morning and then support myself with a hodge podge of freelancing and teaching gigs. So from a cost point of view, I felt like I had never really earned a real vakay. My husband needed and looked forward to vakay. But then, he kept regular hours and he had a 401(k), while I had ... well, I had my attic writing room and my cat and all that time in which to write profound and wonderful things while never having to get out of my p.j. 's So back then, wasn't I on a kind of permanent vacation? Shame on me. I squandered half of that creative time fretting over paying the bills. I took on some editorial and other projects that neither paid the bills nor advanced or enhanced my own personal writer-goals. In retrospect, this was not a good idea. So even when we did sneak off on a couple's trip, I felt like I was stealing even more free and costly time. I felt like I didn't deserve it. This year, after a year of bereavements (his Mum; my Dad) and transatlantic flights and a kitchen makeover (let's not even go there), my sweetie and I booked ourselves some (paid) time off from work and rented a beach-front apartment for two. On a chill New England afternoon, we sat on a stationary airplane and flicked through the in-flight magazine while the maintenance crew de-iced our plane. But at last we were airborne and headed for warm sunshine and hot sands and ruby-red sunsets. For 12 blissful days, we ate late breakfasts and went for long walks and sat on the beach with our paperbacks. Then, on Day 3, here came that old, familiar guilt. I had nine days left--nine days with no alarm clock and no day job. In other words, nine perfectly good writing days. Determined to enjoy a digital-free vacation, I had left my laptop at home. So I went to a store and bought myself an old-fashioned composition notebook. 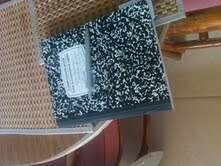 With its wide-lined pages and its hard-back cover, my notebook was perfect for poolside writing. Morning coffee. Ocean breezes. The scratch of my pen on paper. This plein-air writing retreat couldn't have been better if I'd planned it this way from the start. 1.The organic approach: When I work on my PC or laptop, I try to write Scene 1 + Scene 2, which lead me to Scene 3. 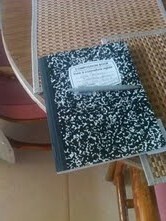 But poolside, I wrote beyond and behind the proposed plot line of my novel-in-progress. I scribbled in the margins. I wrote sudden scenes. By letting myself color outside the lines, the book-in-progress and my 16-year-old character began to reveal themselves. 3.There really are no short cuts: Turns out, I needed to simply let myself write. I learned that, when I'm back home and back at my laptop, I'm often too scared to go mad. Why? Because in my regular, alarm-clock life, I delude myself that I can and should tame the creative beast. That I can and should whip it into shape and force it forward in a linear trajectory. Big note to self: There are no short cuts. Those rushed, premature parts end up needing a re-do anyway. Now, wouldn't you think I'd have learned that from watching the kitchen makeover crew? How do you manage vacations with family or friends? Do you throw yourself 100% into the communal fun, or can you steal some private writing time? Jodi Picoult, Luanne Rice, Glen Cook: Your writing tips, please! Are these facts or urban legend rumors? Novelist Luanne Rice writes a book per year. Ditto for Jodi Picoult. And here's a definite one: I read that SciFi and fantasy novelist, Glen Cook has already cranked out 40 books during his career--most of them while he worked full time at General Motors. Fact or fiction, if these book-per-year outputs are all true, then pass me the paper bag--to put over my shameful head. Actually, I'm not so much in awe of these writers' productivity as their dexterity in being able to complete one project and get stuck into the next. Or is it an overlapping, relay-race process? In other words, as one book awaits publication, the author is already drafting the next? I don't know. I wish I knew. 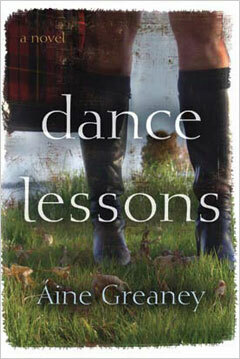 My second novel, DANCE LESSONS was launched on April 1, 2011. That's four months ago. In Rice and Picoult years, that's a third of a new book. Have I written a third of my next project? Hah! Last week, I wrote a guest post on this topic for the wonderful literary blog, Savvy Verse and Wit. Until I sat down to pen that piece about the après publication period, I didn't realize just how strange and direction-less this fallow time actually is. So I'm having a strange old fallow time. And in some ways, it's kind of fun. But scattered. How about you? Can you effortlessly switch projects? Write in more than one genre at a time? Or is there a regrouping phase in between?